Robotae exhibited at ERF2015 in Vienna on 11-13 March 2015. 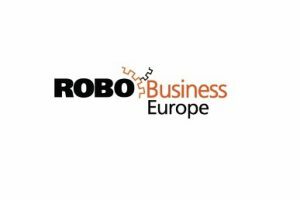 This 3-day event, from March 11-13, 2015, is a meeting point for at least 350 scientists, companies and robotics officials from the European Commission. The program is designed to provide an opportunity for the companies and researchers to meet and interact in workshops and seminars in order to expand their networks, gather the latest relevant information, and build new business and collaborations thereby strengthening the potential of European robotics. The majority of wearable devices, whether it is smartwatches or fitness trackers, rely to some extent on the smartphone as a hub. As a result of this, manufacturers are now looking to ensure that this is a function of the wearable itself. Google’s ‘Android Wear 2.0’ smartwatch already demonstrates this, running its own apps and connecting directly to the cloud via Wi-Fi. It remains to be seen whether wearable devices will replace the need for smartphones, or continue to operate an extension. 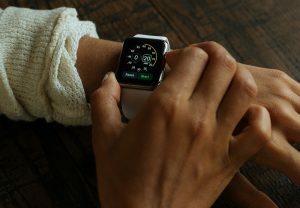 Certainly it was the use of smartphones as a central device that enabled the growth of wearables, but with the hype beginning to diminish, companies are considering shaking things up. Interestingly, smartwatches, fitness trackers and smart eyewear (virtual reality and augmented reality) are becoming popular individual categories, moving away from the broad umbrella of ‘wearable tech’. Companies are therefore progressing beyond discussing ‘wearables’ and instead focusing heavily on sub-sectors. 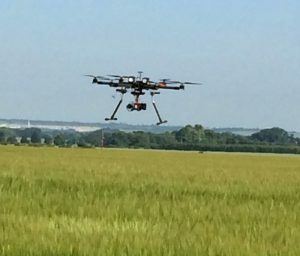 Robotic market and technology developments will change the business of farming, according to an IDTechEx report on agricultural robots and drones. Indeed, the agricultural revolution is already underway, with farmers already gaining the benefits of UAVs and guidance systems. In the report, entitled ‘Agricultural Robots and Drones 2016-2026: Technologies, Markets and Players’ author Dr Khasha Ghaffarzadeh reveals that the USD 3 billion market of 2016 is forecast to rise to USD 10 billion by as early as 2022. Robotic technology is permeating agriculture, transforming traditional methods and changing its value chain. It is also anticipated that robotics will become the future of the agrochemicals business and modify the way we design agricultural machinery. Drones have been in use in agriculture since the 1990s; as this technology is mature, suppliers have diversified into new territories. In addition to spraying, the core use of drones is to provide aerial maps of farms, enabling farmers to make data-informed decisions. Light-weight low-cost drones often feature multi-spectral sensors, detecting yields and disease, moisture and nitrogen levels. With regulations loosening and precision farming becoming more common, this development is to enter its growth years. Improvements and cost reduction in RTK GSP technology is driving tractor guidance and autosteer technologies into the mainstream. IDTechEx states that more than 300k tractors equipped with autosteer or tractor guidance will be sold in 2016, rising to more than 660k units per year by 2026. Large-scale market introduction for unmanned autonomous tractors has been delayed by regulation, high sensor costs and hesitancy from farmers. Sales of unmanned or master-slave (e.g. follow me) tractors are expected to pick up by 2022. Machine vision in robotics can follow crop rows, identify weeds, and assist with mechanical hoeing. 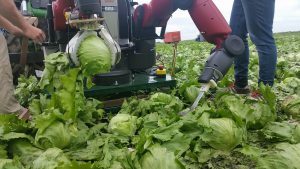 According to the report, the latest advanced robotic implements are already thinning 10% of California’s lettuce fields. General-purpose autonomous weeding robots are under development, with the aim to produce swarms of small, light-weight robots to locate and eliminate weeds with precision. Farmers will no longer have to utilise spray chemicals across the entire field, thereby affecting suppliers of crop protection chemicals. Volume commodity agrochemical businesses can be converted to speciality chemical operations, pushing suppliers to re-invent themselves as providers of crop protection and not just chemical suppliers. Robots have generally not been used in fresh fruit picking, with this task being dominated by manual labour. It is a complex job for robots to undertake, with the robot having to deal with a level of spontaneity; machine vision must detect the fruit and a robotic arm should not bruise the fruit. The lack of CAD models has also inhibited rapid iterations in product development. A limited number of fresh strawberry harvesters are being commercially trialled, with market adoption starting from 2020/2021. Fresh apple robotic harvesting has also reached late stage prototyping, with market adoption from 2022/2023 onwards.